The peacefullest pillow pal around! Printed on cotton-linen canvas, hand stuffed with recycled polyester filling, and sewn onto a colorful printed cotton fabric. 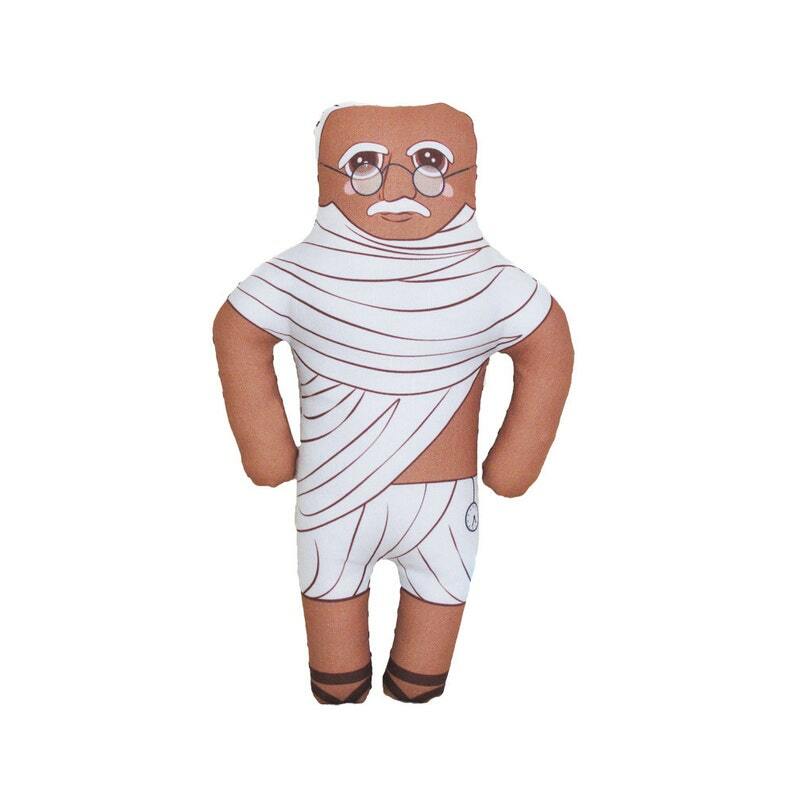 This Gandhi Doll is perfect, exactly what I was looking for. Superior quality, makes me smile. I will proudly display each MLK Day Holiday and it will be a family heirloom some day.